"Learn About The Benefits Of Denver Cranial Prosthesis Wigs!" A full cranial prosthesis is a lace wig for persons dealing with long periods of hair loss or have permanent hair loss due to a medical condition. Full lace wigs are hair replacement units which offer a natural looking appearance and the feeling of wearing real hair. Medical conditions attributing to hair loss are chemotherapy treatments because of cancer, trichotillomania and alopecia. A full cranial prosthesis or full lace wig not only conforms to the shape of your head. 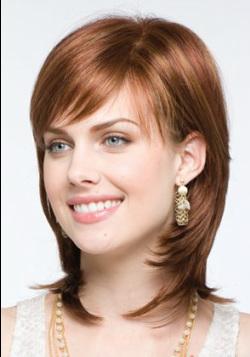 It also can be parted and styled in any manner desired, as with your real hair. The wig cap construction will accommodate the re-growth of your natural hair following the treatments and has a special non slip material for added security. Wig caps used for full cranial prosthesis can be either full lace or thin skin.